If you have no idea what I’m talking about, congratulations on avoiding the whole sorry saga. But the short story is that Driscoll – poster boy for the ‘New Calvinism’ (and I hate that phrase as much as you do) – recently resigned from his role as Pastor at Mars Hill Church, the Seattle-based mega-church he founded 18 years ago. While some congregations will continue, Mars Hill as an entity will cease to exist. All those, and many more, could be worthwhile reflections. But rather than pursuing any of those trails, I’d like to offer two brief reflections. Fellow leaders of God’s people – examine yourselves! 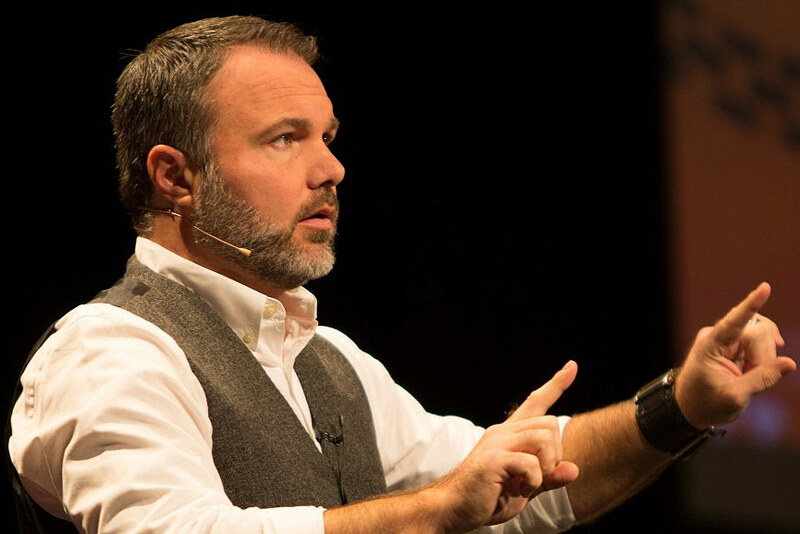 Mark Driscoll is, in many ways, just like all of us – a sinner in need of God’s grace. It should come as absolutely no surprise that he has fallen; it has happened before among very high profile leaders, and it will happen again. Part of a godly response – especially from leaders of God’s people – will therefore be honest and humble self-reflection. Tragedies like this are always tragedies. But a right understanding of sin means that while we grieve, we’re not shocked. Moreover, if we know ourselves at all, we know that sin crouches at the door of our lives. Please don’t think of ‘that other person’ who really needs to heed this warning. Think of yourself. Examine yourself. Not one of us is immune to serious sin. Yet at the same time, there is more going on here than ‘just another sinner in need of God’s grace’. Mark Driscoll has been accused of what amounts to ‘spiritual abuse’. And from first hand experience, I can guarantee that spiritual abuse is far more serious than most people know. A number of years ago, I found myself directly on the receiving end of spiritual abuse and bullying at the hands of a church leader (a leader who also abused countless others). Thankfully, in the kindness of God and through the help of some people who understood the situation, my family and I survived. But what I found consistently at the time (and what I have found again and again in the years since it happened) is that very few people appreciate just how grave, just how real, and just how incredibly harmful spiritual abuse is unless they have experienced it for themselves. I understand not getting it – before it happened to me, I didn’t get it, either. (Heck, even when it was happening to me, it took me ages to get it!) But while it’s complicated, that doesn’t mean it’s okay to remain ignorant or to bury our heads in the sand about a very real issue that many people face. Since my own experience, I’ve spoken to dozens of people who’ve experienced spiritual abuse. It’s a complex issue with many subtleties involved, but that doesn’t change the fact that perpetrators are guilty of very serious, very damaging sin. If you’re wondering what I mean by spiritual abuse, this post is excellent, or this document offers some careful definitions. In a nutshell, spiritual abuse is about the misuse of power – about using a position of spiritual authority to control, pressure, or mistreat someone in your care. It’s often about hypocrisy, about maintaining a public persona that differs from your private self. It often involves playing on the insecurities of others, manipulating them as ‘tools’ to achieve your own personal goals. And yes, it’s often fuelled by the abuser’s own insecurities. It often involves confusing people with ‘double talk’, making victims think they’re the perpetrators (and vice versa). It’s often about failing to see the log in your own eye, but being excellent at seeing the speck in other people’s eyes. It can include regular head-fakes towards contrition, but lacks any real repentance. And I could go on. Spiritual abuse is not quite the same as ‘conflict’. It’s not about a pastor who doesn’t ‘hit it off’ with some people in his church, or a leader who ‘rubs some people up the wrong way’. While we’re all sinners, spiritual abuse is essentially a one-way street: abuser, and abused. Of course, we have to be very careful not to tar leaders with the spiritual abuse brush when they’re actually involved in two-way conflict. But at the same time, we mustn’t absolve spiritual abusers of their sin by explaining things away as mere ‘conflict’. In discussing the Driscoll controversy with friends (in person or online), I’ve noticed a number of people saying things like, ‘Well, we all make mistakes’, ‘Wow, shock horror – a pastor who’s not perfect!’ or ‘Mate, he’s a sinner in need of Jesus, just like me’. While there’s some truth in all those sentiments, they fail to appreciate the serious and deeply damaging nature of these offences. Look, of course I’m in no real position to determine whether the allegations against Mark Driscoll are true (I can make a pretty good educated guess, given the cloud of witnesses that has assembled). And I hope this post is seen as a warning about a vitally important area of the Christian life, rather than as one Christian kicking another while he’s down. But IF the allegations are true, then this is a clear case of spiritual abuse. And misuse of power by Christian leaders leaves people deeply damaged. It dishonours God and wounds his church. Where it goes unchecked and where appropriate discipline is not exercised, it’s a problem that festers and spreads like cancer. How am I going at caring for (not using or abusing) people under my care? Do I take criticism on board with humility and openness, or do I become defensive? Am I good at seeing the specks in other people’s eyes, but not so good at seeing the log in my own eye? Am I quick to seek forgiveness when I’ve wronged someone, or am I good at finding reasons why it was really their fault, not mine? When I’m the one who’s been wronged, am I quick to forgive, just as God forgave me? Is my identity bound up in what other people think of me, or what Jesus thinks of me? Those of us watching the Driscoll situation unfold should do so with great sadness, and with a willingness to examine ourselves. But let’s not have any illusions that this is a lot of fuss over nothing. When it comes to the often-unseen abuse of power by church leaders, shedding greater light on the problem may be exactly what’s needed. For more information on spiritual abuse, I recommend The Peacemaker by Ken Sande, and Healing Spiritual Abuse by Ken Blue. Do you think spiritual abusers should be stood down from ministry for good? Hi Geoff – thanks for your post and your link. I have written a couple of posts on these issues this year – having experienced an abusive church (one that is on the international evangelical radar) a few years back. The spiritual abuse topic is by far the most viewed topic on my blog this year with the most number of links/likes/responses. By far! It’s as if spiritual abuse is evangelicalism’s dirty little secret, and the thing that no one will front up and tackle proactively. This is so very true. Thanks for this post. It’s very helpful and encouraging to me. There isn’t nearly enough being written about the subject.